First came Creative Cloud, Adobe's gargantuan release of apps targeted to creative pros. 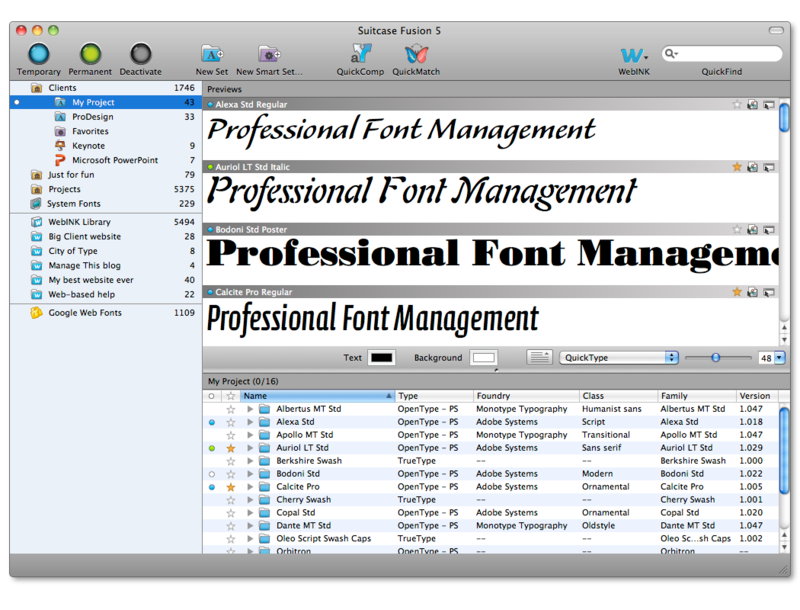 Then hot on its heels is a new version of Suitcase Fusion, Extensis' professional font manager. For Adobe’s target audience of designers, publishers, photographers, and videographers, keeping fonts up to date matters—a lot. For Adobe Creative Cloud users, Suitcase Fusion 5 delivers brand new auto-activation plug-ins for applications such as InDesign, Photoshop, Illustrator, and InCopy. Integrated font panels let designers preview and activate fonts directly from Creative Cloud and Creative Suite apps without having to switch between applications. And, with its connections to the WebInk Web font services and Google Web Fonts, Suitcase Fusion 5 facilitates the use of Web fonts in Adobe applications. Designers can preview and prototype with an expanding collection of more than 6500 Web fonts available from these services. The collection includes more than 1000 new fonts from WebInk, such as Adelle (TypeTogether), Myriad Pro (Adobe), and Museo Sans (exljbris). Suitcase Fusion 5 main interface. Of course, you can use Suitcase Fusion for any graphic design purpose, with or without Adobe apps, and for non-Adobe users Version 5 offers additional improvements. The new QuickComp feature lets designers experiment and pair typefaces directly within the app. 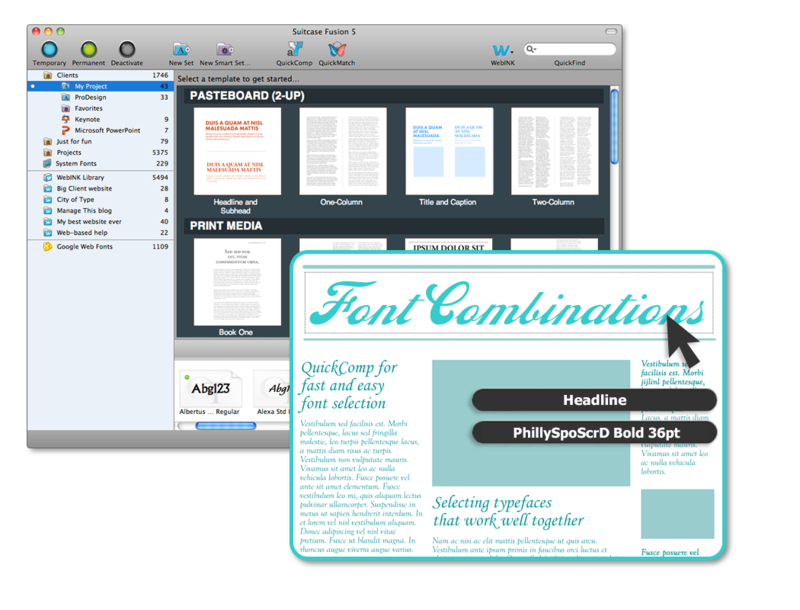 Designers can preview fonts side-by-side in print or Web templates, or by using simple comparison sheets. Users can save samples to PDF font proofs for sharing. The current library of QuickComp templates will expand soon as part of a free update, Extensis says, as user feedback identifies additional desired templates. Suitcase Fusion 5 is available immediately from various retailers and from the Extensis Website for $100. Upgrades are $50. The program is offered in English, French, German, Japanese, Italian, Spanish, and Brazilian Portuguese. 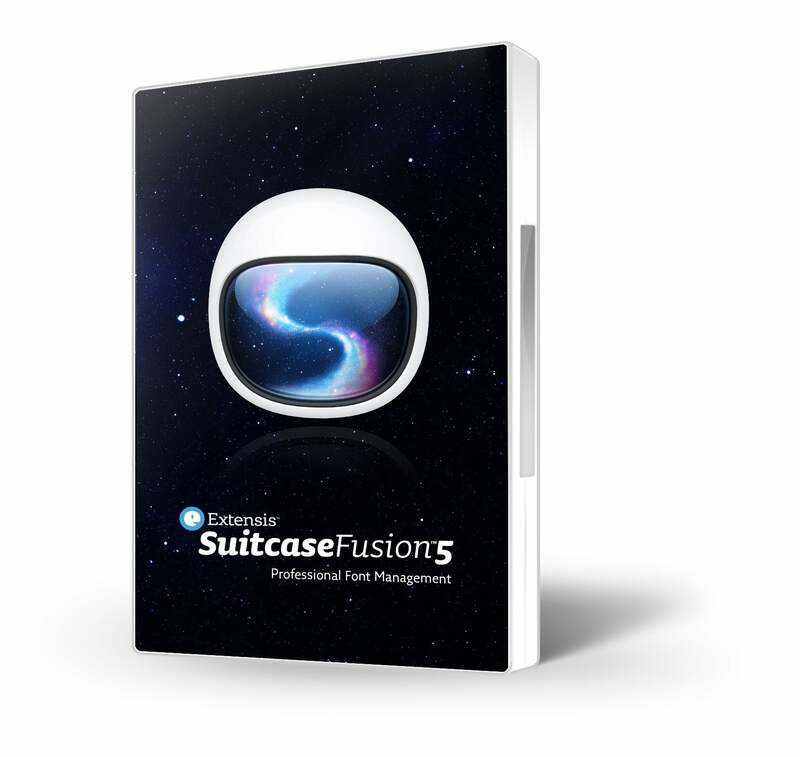 Designed to work on both Macs and PCs, Suitcase Fusion 5 can be installed on up to two machines per license.